Search Engine Optimization is a captivating word that enthralls most business entities. SEO has advanced into a mantra for almost all startup establishments worldwide. The sheer volume of traffic and benefit it adds to the business is the paramount reason. Before we head towards the advanced SEO strategies, let me point out something. If you follow a pop-up business model then Search Engine Optimization is not your cup of tea. It’s a long-term strategy, which demands long-term commitment. If you have done your research you would have come across contradictory statements like SEO is dead. Which makes you nervous and confused. Let me delineate on this. SEO is not dead. On the contrary, its good as dead for people who churn mediocre articles and still rely on black- hack techniques. Organic ranking is much more than keywords and backlinks. It encompasses a wider perspective of how the business entity at its core adds value to people. 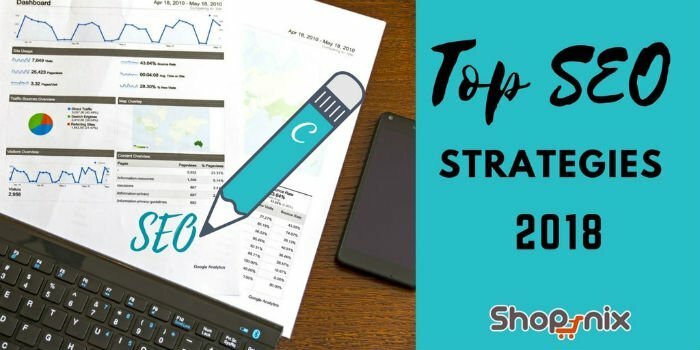 The organic ranking factors diverse components, and you cannot afford the mistake of focusing only on a single component. For eg: You may have the best article, but if you don’t market it, it nullifies the effectiveness. Hope you remember me mentioning that a business core objective should be to add value to the end user. Search Engine Optimization is a game, which is characterized and weighted by multiple factors and is moderated upon the value transaction (that stems with the end users and the webpage). Majority of articles that rank of Google SERP tends to add value to the end user. That means the article or the content on the webpage has significantly added some value to people who have interacted with the page. I know it’s demanding, but living in a fast-paced world it’s the least to demand. Believe me, your customer wants the best possible answer at the earliest possible. Search for micro-moments. Ever heard of the term linkable assets? If not let me help you. A linkable asset, link worky asset is any webpage on your domain that a visitor genuinely feels worth citing on another webpage. These are pure organic links pointing from your user’s webpage (from a third party website) to your webpage. So, the obvious question will be, what motivated them to mention a website/ webpage in their digital diary. The answer is simple, the user finds the webpage/ content worth interacting. An ordinary article is perceived with a prosaic attitude. It lacks the quality to attract and retain people’s attention. Forget the point that they may mention it somewhere. SEO is dynamic. Google wants people to get the best result for every search query. It may sound easy, but in reality, it’s not the same. With a great no: of content generated and published every minute, it gets harder for Google to identify the right webpage and then prioritize it (currently speaking- debatable). With increasing attempts to game Google, and rank in SERP, it becomes or great priority for Google to moderate individual webpages/ websites before it pushes the page to the top of SERP. Every newbie entrepreneur should know the importance of organic ranking. Consider you are planning to start an online clothing store. 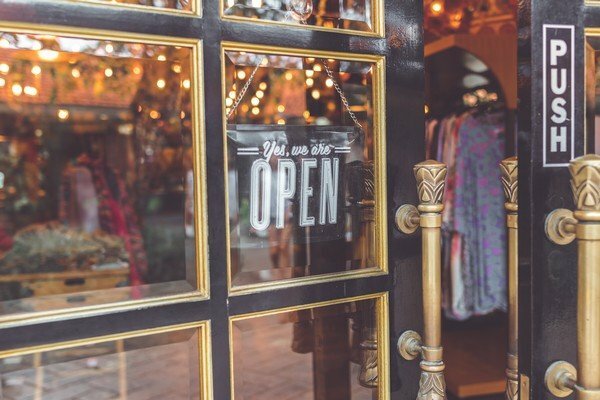 As an entrepreneur, you need to invest the right time to understand what are the best practices for setting up an online apparel store. Try to create a buyers persona. A buyer’s persona points you to the right people, who are most likely to engage with your business and convert. For an online clothing store, the buyers personal helps to identify, who the target customers are, their age, demography, interest, hobbies, concerns, etc. Consider that my online clothing store caters to a single niche, “infants”. Then my SEO/marketings strategy will be focused around to get the attention of parents. As parents are the right people to target (they are the decision makers). The persona you create help you narrow down to the right customer. For eg: Your target customers reside in Saudi, and the apparel/ clothes you sell doesn’t meet the set standards by the government of Saudi (Huge loss). Creating a customer persona help you identify limitations, find opportunities, and to set a definite course of action. We live in a world dominated by multiple displays. Ask yourself, How much time do you spend in front of a desktop, mobile, tablet, etc. Every digital device comes with their own custom displays. The dimensions chances on a greater scale. Make sure that the content you generate can be consumed by the end user across displays. In the grooming stage, itself make sure that you will consider your website to be responsive. A responsive website will help reach a wider audience. Perplexed how responsiveness and SEO are linked. With an increasing demand for mobile searches, from 2015 onwards Google has been considering responsiveness as one factor when deciding the page rank. Web pages that are not optimized for mobile may fail to rank on Google’s Search Engine Result Page. A good responsive design enables a sense of credence among users and adds to convert more people. Technology has presented us diverse tools and means to interact with the web. Still, the preliminary and primary mode of search input remains the same, search queries. The main aim of creating a content theme is that instead of focusing on a single keyword, one needs to broaden his approach. Create a keyword matrix, find the best keyword, make use of multiple secondary keywords, themed queries, synonyms, etc. Hammering a single keyword is not going to help you. Create a Search Engine Optimization plan that can seem achievable. For the above example of starting an online clothing store. It may be a tedious task to rank for a high-value keyword like “buy clothes online”. Even close to impossible in the first few months. Instead, use a content theme, try to rank for multiple long tail keywords. The sole objective of introducing the concept of semantics and the rankbrain algorithm is to enable the machine learning algorithm to provide the best possible results after considering the context and intent of a search. As mentioned before Google has been giving importance to the mobile version of a website. With an ultimate objective of providing the best possible user experience, the leading search engine is slowly making sure that it will give importance to pages that can add value to people on the mobile version. 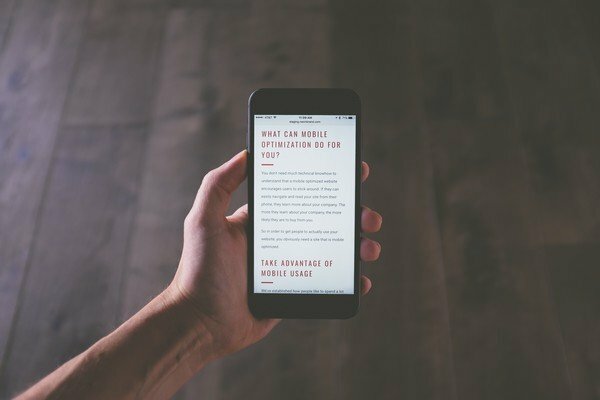 As the idea sounds, a mobile-first index will prioritize the mobile version of a website as the baseline for indexing. Not to fear, check this link to see best practices in mobile first indexing. Make sure that the webpage and other elements on your website are optimized for the mobile version. Previously Google used to index the desktop version of a website and decide how to gather the content. For websites that have made use of AMP, Google will be factoring the non- AMP version of mobile. Never fall into the vicious circle thinking that mobile first indexing is an entirely new Google indexing algorithm, it’s not. There will only be one indexing, mobile version of your webpage”. If you lack a mobile indexing page then Google will consider the desktop version. Google is slowly modifying the existing desktop version in such a way that it gives importance to how content is indexed/ collected from a mobile version. Priority is given to how information is represented on mobile.